POEditor's tagging system has the role of helping you organize the strings inside your software localization projects. You can set custom tags to groups of terms, to filter them during translation or on export. 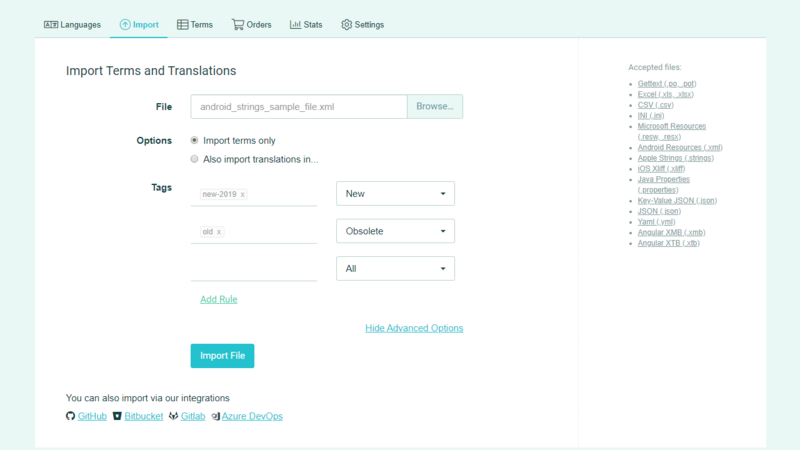 Go to Import > Advanced options, select a file to localize, and then add tags for the terms to be imported. You can set tags for all the terms, including the new ones (that are in the file, and not in the POEditor localization project) or the obsolete (which are in the POEditor localization project, but not in the file). 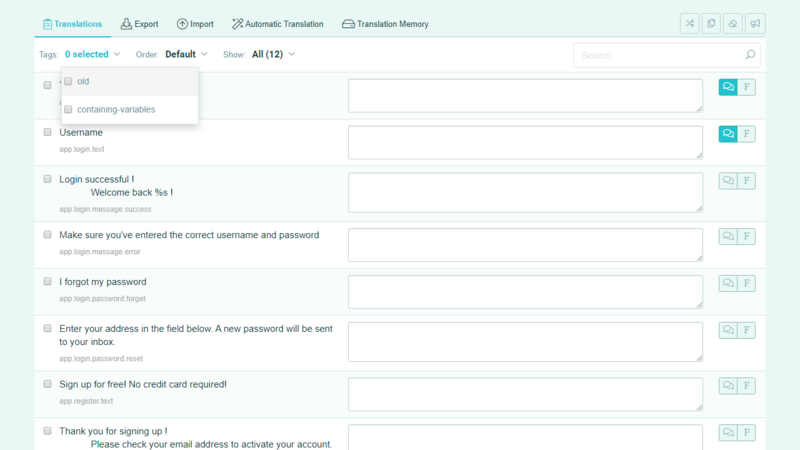 If you want to overwrite the translations, you have the option of tagging the terms that have been modified. Go to View or add terms and select the terms you want to tag, by checking the boxes next to them. 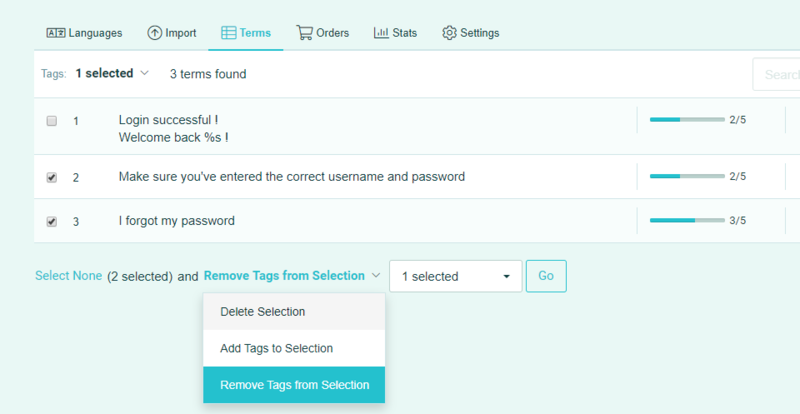 Then got to the bottom of the page, choose Add tags to selection and write the name of the tag in the box, which can be an existing tag or a new one. Select the desired tag from the top left drop-down menu, in order to view in the language page only the terms that have been tagged that way. 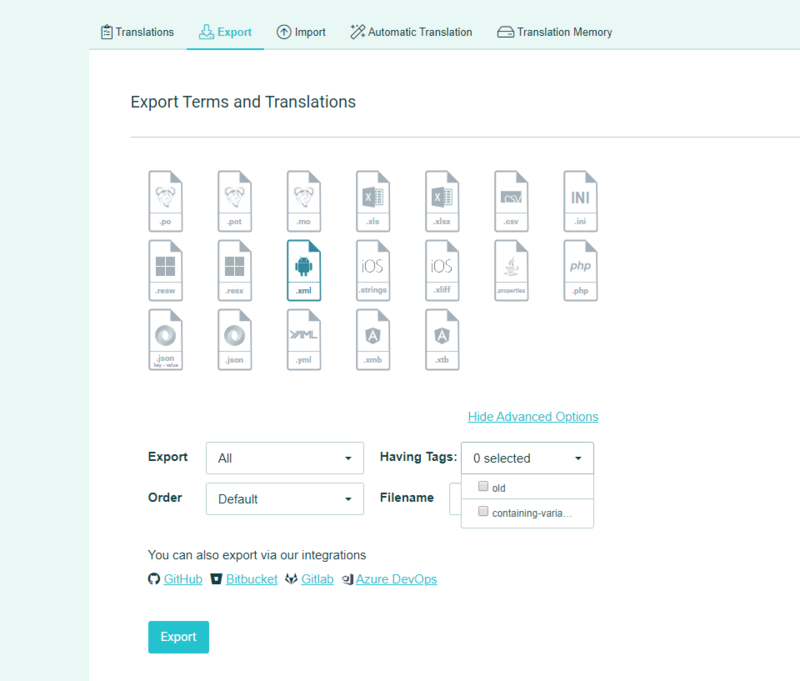 While on a language page, select Export > Advanced Options and click on the filters you want to apply for export. It will generate a file containing the terms and translations grouped by the selected tag(s). You can remove the tags set on a term or on a group of terms in the user interface in the View or Add Terms page. Select the Remove Tags from Selection option in the dropdown menu and pressing Go. Must have at least one tag to see this option. This API method also allows you to remove tags. 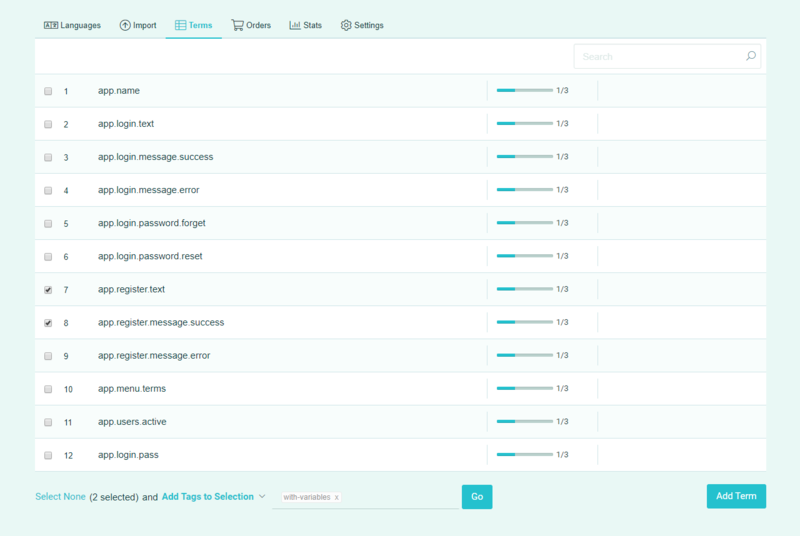 Note: 1) All of POEditor's integrations with code hosting platforms (GitHub, Bitbucket, GitLab, VSTS) support tags. 2) POEditor treats identical terms as one string (the only way to have duplicates in a POEditor software localization project is by importing identical terms with different context).